Firing ranges shall be "cold;" i.e., there shall be no loaded firearms allowed anywhere but the firing line. Eye and ear protection are mandatory in "hot" areas--the firing line and immediate surroundings. Ear muff-style hearing protectors are allowed, as are modern-designed shooting glasses. No alcohol allowed on the range during shooting hours, either for use or possession. No illegal controlled substances at any time. No smoking in the shooting area. No fingers in the trigger guards unless the shooter is on the firing line and preparing to fire at the command of the range officer, or in the act of shooting. Shooters failing to observe this rule may be disqualified from competition. All participants, hearing the command "cease fire," or being made aware of other danger signals, will immediately cease firing and keep their firearms pointed down range with the muzzle in a downward position. Individuals making a formal protest to the Judge or Deputy Judge of questionable acts or violation of the rules by an individual shall accompany such protest by a $10.00 protest fee. If the protest is upheld the fee will be returned. If the protest is denied, the fee is forfeited to the individual against whom the protest was made. The Judge or Deputy Judge's decision shall be final. Treat and respect every firearm as if it were loaded. Eye and ear protection is required for all competitors and spectators. Safety glasses with side shields recommended. No loaded firearms except at the firing line or loading table. No quick-draw at any time. Revolvers are to always have the hammer down on an empty chamber or between chambers when loaded. No breaking a 170 degree plane with any firearm at any time during the stage. Draws from a cross draw must be done with the body turned to the firing line so the muzzle of the revolver is not breaking the 170 degree rule. Stage disqualification for first offense, match disqualification for second offense in same day. Penalties for having the finger in the trigger guard or the revolver cocked before it is pointed down-range: 1st infraction - disqualification from the stage; 2nd infraction - disqualification from the match. All long guns will have actions open at all times except on the firing line or when they are in cases. When carrying firearms to loading or unloading tables, muzzles must be in vertical position, pointed straight up. A dropped unloaded firearm ends the stage for a shooter. A dropped loaded firearm will result in a match disqualification. The firearm will be retrieved and cleared by Posse Leader or Timer. Everyone will load, stage, and unload his/her own firearms, except for those physically challenged or inexperienced, needing assistance. No running under time with a charged firearm in hand. Shotguns are staged with magazines and chambers open and empty and are loaded under the clock. (Pistoleer class, arms charged but not capped.) All empty shells must be ejected before grounding or moving throughout a stage when carrying the firearm. Initially load rifles and revolvers at loading table only and only when the loading table is manned. Shooter is to retrieve his/her own firearms and go directly to manned unload table after stage is completed. No squib or magnum velocity loads. No jacketed bullets, only cast lead alloy only bullets. Shot is to be lead only, and no larger than #7½. Only cartridges and velocities approved in The Tally Book are allowed. Shooters may be held responsible for damage caused to a target by too "hot" a load. All participants must attend a safety meeting before shooting in any event. Posses should have no fewer than eight persons: one timer, one shooter, one watching the loading area, one watching the unloading, three watching hits and picking up brass, one loading. Refusal to follow the Stage Marshal or Judge's direction regarding safety or procedural rules will be grounds for match disqualification. Remember to think safety first and always! Don't be afraid to speak up if you see anyone handling a firearm improperly, but also remember to be courteous. If someone points out that you're handling a firearm carelessly, be grateful, not upset. It's better to be corrected than have someone get hurt. It is permissible if Posses allow for mule-eared shotguns to be cocked at the beginning of a scenario whether staged or in the shooter’s hands. No cocked firearm with a live round under the hammer may ever leave the shooters hand except for a malfunction. Men’s and Women’s Four Gun Smokeless Shootist: Shooter uses two pistols, one shotgun, and one pistol caliber rifle. Shooters may shoot smokeless powder and may fire handguns us ing a two-handed grip. Men’s and Women’s Three Gun Smokeless Shootist: Shooter uses two pistols and one pistol caliber rifle. Shooters may shoot smokeless powder and may fire handguns using a two-handed grip. Men’s and Women’s Two Gun Smokeless Shootist Working Cowboy: Shooter uses one pistol and one pistol caliber rifle. No Gun Carts are to be used at any time. Shooters may shoot smokeless powder and may fire handguns using a two-handed grip. Men’s and Women’s Four Gun Black Powder Shootist: Shooter uses two pistols, one shotgun, and one pistol caliber rifle. Shooter must shoot black powder or approved black powder substitute powder in all firearms except those chambered for rimfire cartridges, and may fire handguns using a two-handed grip. Shot guns may NOT include any model of pump shotgun. Men’s and Women’s Three Gun Black Powder Shootist: Shooter uses two pistols and one pistol caliber rifle. Shooter must shoot black powder or approved black powder substitute powder in all firearms except those chambered for rimfire cartridges, and may fire handguns using a two-handed grip. Men’s and Women’s Two Gun Black Powder Shootist Working Cowboy: Shooter uses one pistol and one pistol caliber rifle. No Gun Carts are to be used at any time. Shooter must shoot black powder or approved black powder substitute powder in all firearms except those chambered for rimfire cartridges, and may fire handguns using a two-handed grip. Men’s and Women’s Four Gun Smokeless Duelist: Shooter uses two pistols, one shotgun, and one pistol caliber rifle. Shooters may shoot smokeless powder and must fire handguns using a one-handed grip. Men’s and Women’s Three Gun Smokeless Duelist: Shooter uses two pistols and one pistol caliber rifle. Shooters may shoot smokeless powder and must fire handguns using a one-handed grip. Men’s and Women’s Two Gun Smokeless Duelist Working Cowboy: Shooter uses one pistol and one pistol caliber rifle. No Gun Carts are to be used at any time. Shooters may shoot smokeless powder and must fire handguns using a one-handed grip. Men’s and Women’s Four Gun Black Powder Duelist: Shooter uses two pistols, one shotgun, and one pistol caliber rifle. Shooter must shoot black powder or approved black powder substitute powder in all firearms except those chambered for rimfire cartridges, and must fire handguns using a one-handed grip. Shotguns may NOT include any model of pump shotgun. Men’s and Women’s Three Gun Black Powder Duelist: Shooter uses two pistols and one pistol caliber rifle. Shooter must shoot black powder or approved black powder substitute powder in all firearms except those chambered for rimfire cartridges, and must fire handguns using a one-handed grip. Men’s and Women’s Two Gun Black Powder Duelist Working Cowboy: Shooter uses one pistol and one pistol caliber rifle. No Gun Carts are to be used at any time. Shooter must shoot black powder or approved black powder substitute powder in all firearms except those chambered for rimfire cartridges, and must fire handguns using a one-handed grip. Men’s and Women’s Four Gun Pistoleer: Shooter uses two pistols, one shotgun, and one pistol caliber rifle. Shooters are restricted to the use of percussion revolvers, pre-1873 percussion or original/authentic reproductions of rimfire cartridge pocket pistols, exposed hammer double-barreled shotguns (percussion or cartridge) and reproduction or original pre-1873 pistol-caliber repeating rifles (e.g.1860 Henry, Spencer, 1866 Winchester, etc.) Shooters must shoot black powder or approved black powder substitute in all firearms except those chambered for rimfire cartridges. Pistols and revolvers must be shot one-handed. Pistoleer shooters will shoot the same course of fire as the other competitors except that in a stage requiring more than two shotgun rounds the Pistoleer shooter would not be required to shoot the extra rounds. Men’s and Women’s Three Gun Pistoleer: Shooter uses two pistols and one pistol caliber rifle. Shooters are restricted to the use of percussion revolvers, pre-1873 percussion or original/authentic reproductions of rimfire cartridge pocket pistols, and reproduction or original pre-1873 pistol-caliber repeating rifles (e.g. 1860 Henry, Spencer, 1866 inchester, etc.) Shooters must shoot black powder or approved black powder substitute in all firearms except those chambered for rimfire cartridges. Pistols and revolvers must be shot one-handed. Men’s and Women’s Four Gun Seniors: Shall be open to those over age 60 only. Shooter uses two pistols, one rifle and one shotgun. May use any of the above shooting styles. Men’s and Women’s Three Gun Seniors: Shall be open to those over age 60 only. Shooter uses two pistols and one rifle. May use any of the above shooting styles. Men’s and Women’s Two Gun Seniors: Shall be open to those over age 60 only. Shooter uses one pistol and one rifle. May use any of the above shooting styles. Men’s and Women’s Four Gun Elder: Shall Be open to those over the age of 70 only. Shooter uses two pistols, one rifle and one shotgun. May use any of the above shooting styles. Men’s and Women’s Three Gun Elder: Shall be open to those over the age of 70 only. Shooter uses two pistols and one rifle. May use any of the above shooting styles. Men’s and Women’s Two Gun Elder: Shall be open to those over the age of 70 only. Shooter uses one pistol and one rifle. May use any of the above shooting styles. Boy’s and Girl’s Four Gun Juniors: Shall be open to those 12 through 17 only. Shooter uses two pistols, one rifle and one shotgun. May use any of the above shooting styles. Boy’s and Girl’s Two Gun Juniors: Shall be open to those 12 through 17 only. Shooter uses one pistol and one rifle. May use any of the above shooting styles. Men’s and Women’s Originals: Shooter uses two guns, one rifle and one pistol to complete the course of fire. This class must be shot duelist/traditional style. Must have three originals present to have the class. For complete rules and regulations see Appendix A at the back of the Tally Book. No matt-finished or brushed-finish stainless steel firearms are allowed except as specifically exempted in these Rules and Regulations, e.g. only those stainless steel firearms whose finish resembles an original nickel-plated finish. No modern commemorative firearms shall be allowed. Projectiles shall be cast lead or lead alloy. No metal-jacketed projectiles shall be permitted. Muzzleloaders shall use round ball or elongated projectiles if such were original to the firearm. Muzzleloading percussion firearms shall be original to the period or authentic reproductions. Cartridge firearms shall be original to the period or authentic reproductions of original makes and models. “Short-stroke” modifications to lever-action firearms are not allowed. Sights for all firearms shall be of original design or configuration. Approved calibers and loads include any that were introduced prior to or during the period of 1865-1899 and that were originally introduced as a black powder load. Common examples include but are not limited to: .22 rimfire, .32-20 WCF, .32 S&W Short, .32 S&W Long, .38-40 WCF, .44-40 WCF, .44 S&W American, .44 S&W Russian, .45 Long Colt, .45 S&W, .45-70 Government. Any cartridge designation that was not originally introduced as a black powder load will not be allowed except for appropriate firearms in the smokeless cartridge division only, or for specifically-designated shooting events. .38 Special/.357 Magnum and .44 Special/.44 Magnum cartridges will be allowed if loaded with black powder or with smokeless powder to black powder velocities. .22 caliber hand guns for main stages are to be pocket pistol/derringers only. 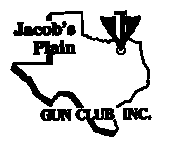 .22 revolvers and rifles are restricted in use for specialty shoots and junior shooters only. No modern (post 1899) firearms will be allowed unless they are authentic reproductions of traditional firearms or very markedly resemble traditional firearms. 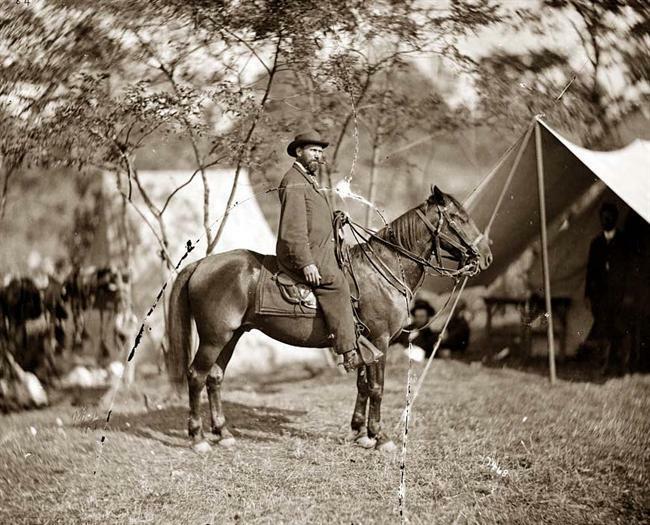 Traditional firearms are defined as those manufactured prior to or during the era 1865-1899 and in documented use on the North American Frontier within that time period. Center-fire calibers may substitute for original rim-fire calibers in reproduction firearms. Reproduction firearms chambered in calibers not utilized in original models shall be allowed as long as such calibers are original to the period or are otherwise approved by the National Congress of Old West Shootists. A miss is a ten second penalty. A procedure is a 20 second penalty. A stage disqualification is 500 seconds as the time for that stage. No fingers in the trigger guards unless the shooter is preparing to fire at the command of the timer operator or in the act of shooting. PENALTY for the first offense is a stage disqualification, for the second offense is a match disqualification. Revolvers are not cocked until pointed safely downrange. PENALTY for the first offense is a stage disqualification, for the second offense is a match disqualification. No breaking of the 170 degree plane with any firearm at any time during the course of fire between the loading and unloading areas is allowed. PENALTY for the first offense is a stage disqualification, for the second offense is a match disqualification. Any accidental discharge that impacts within 6 feet of the shooter results in a match disqualification. Any two stage disqualifications results in a match disqualification. A dropped unloaded firearm ends the stage for the shooter. A dropped loaded firearm will result in a match disqualification. The dropped firearm will be retrieved and cleared by the Posse Marshal or the Timer Operator. Refusal to follow the Posse Marshal or Judge’s directions regarding safety and or procedural rules will be grounds for match disqualification. Remember to think safety first and always. Empty round(s) left in a long gun is a procedure penalty for each infraction. A dropped round is any round that falls below the waist of the shooter. This is a dead round. Shooter may not bend over to retrieve a dropped round. Shooter retrieval of a dropped round is a procedure penalty for each infraction. Shooter may acquire another round from his person to replace the dropped round. Q1. Can you use any Rugers in NCOWS? Q2. Are gun carts authorized? A2. Yes if they have wooden or steel wheels. NCOWS gun carts should be made from wood or other materials available in the Old West. Modern plastics and aluminum are not period correct materials. Working Cowboy and The Originals categories are restricted from using a cart. The 2-gun category shooters carry their gear in a saddle bag or carpet bag. Q3. Are there "costume police" at all matches? A3. No, no one is going to throw you out for your dress. NCOWS clothing should be pre-1900 replica clothing. No modern jeans, modern cowboy boots, modern cowboy hats, or B-Western costumes. Costuming is held to a higher standard at major Regional or National matches. (see Q10 below). Q4. Are short stroked rifles authorized? A4. No. These modifications have no historic basis. Q5. What is the emphasis in NCOWS shooting matches? A5. Accuracy, not speed is the emphasis. Targets may be smaller, further out, and sometimes moving. You'll need to use your sights in NCOWS. Q6. Is NCOWS more interested in historical accuracy? A6. Yes, if you love the history of the real Old West, NCOWS is for you. Some members often refer to themselves as "mongrel historians". We love to research and share knowledge about all aspects of life in the Old West. Our magazine, The Shootist is a collection of history related articles researched and written by our NCOWS members. The Shootist is published 4 times a year. You get a subscription to this magazine when you join NCOWS. Q7. Does NCOWS have a class for a shooter with only one revolver and rifle? A7. Yes, it's called Working Cowboy and this is great for a person just starting out. Q8. I've got a gun or item which I believe should be NCOWS approved, but it is not on the list. Can I use it? A8. If you've got documentation from a valid historical source, you should contact the Judge at your local posse. NCOWS does have a legislative process for approving items. Your local posse Judge can help you here. Q9. Do I need to be an NCOWS member or club member to shoot with the Berger Sharpshooters? A9. No. For our monthly matches we welcome anyone to join us. 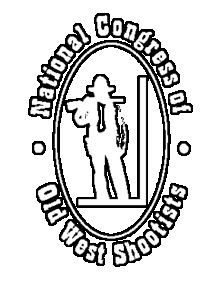 To shoot in any Regional or National NCOWS sanctioned event, all shooters must be NCOWS members. Q10. Do I need to have all the clothing and firearms when just starting out? A10. No, just come and have fun with us. Folks are happy to share. You can collect everything you need over time. NCOWS gives new members one full year to get their gear together. We expect new shooters to be competent in the safe handling of a revolver, rifle, and shotgun before they attend one of our matches.